While there’s nothing wrong in getting involved in Facebook campaigns… there’s nothing inherently good either. According to a new study, viral causes/pledges/petitions that spread via social media rarely go deeper than a single click on the “Like” button. Apparently, social media’s ability to mobilize the masses into action has been overrated – at least when it comes to Facebook. At one point, the Save Darfur Cause on Facebook had over a million members… but very little was really accomplished – and that seems to be the general case, not the exception. Kevin Lewis of the University of California, San Diego, Kurt Gray of the University of North Carolina, Chapel Hill, and Jens Meierhenrich of the London School of Economics and Political Science have found that online activism is nowhere nearly as effective as it might seem – at least to some. The Save Darfur Cause in particular was created using the Cause.com platform, which allows you to create, join and donate to causes using Facebook. It encourages you to get involved in one way or another, but as the study pointed out, very few people did more than like the page. Of the over one million active users who joined the cause between May 2007 and January 2010, 99.76 per cent never donated any money, and 2.19 per cent never recruited new members from their friends. Interestingly enough, the average donation rate — US$29.06 — was similar to other fundraising methods, but the rate of people which donated was just 0.24 per cent. If you compare that to mail campaigns, that percentage varies between 2 and 8 – so quite a big difference. The study also showed another interesting facet about this sort of campaigns – while most of the members were recruited (80 percent), the 20 percent which joined independently were much more likely to recruit others and donate. However, there are some issues with this study. The main issue I have is that they only studied one cause. I mean, come on, it seems a little bit lazy, doesn’t it? It’s very possible that all causes have similar figures but still… you really should have studied more causes, establish pattern, see differences/similarities between different causes, stuff like this. 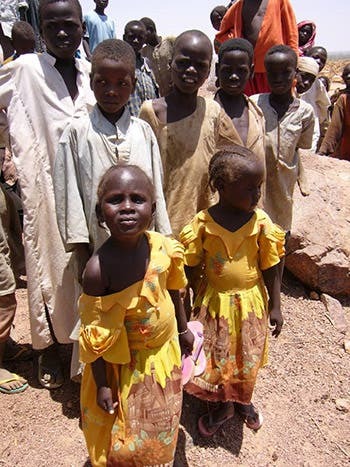 For example, Darfur is far away from most people who signed the cause (geographically speaking). It’s been proven that people tend to be more interested in causes which are closer to them, and therefore the involvement may be reduced, compared to say, protecting American pumas, or stopping global warming, which is more abstract. The authors themselves acknowledge that there are some gaps in the study. But this isn’t to say that internet activism is useless. Facebook campaigns are notorious for attracting many people, with virtually no financial involvement. If you were to conduct say, a more conventional campaign, you’d reach far less people, but you’d have more engagement. If via Facebook you get 1.000.000 people to sign your cause, but only 2.000 actually do something, and via mail you get 100.000 people and again, 2.000 people, are the two campaigns identical? No, not nearly. First of all, the Facebook campaign raised more awareness, which while does not provide any immediate advantages, might yield long term implications in terms of awareness and further action. I’m still waiting for more research on this, I really feel that it’s an area which needs a lot more looking in to; one thing’s for sure: simple internet activism doesn’t do much – if you care about something, get off your seats and do something! (or donate, that’s really awesome).